When disaster strikes there are two things that are immediately essential: getting out of the area, and getting out of there quickly. 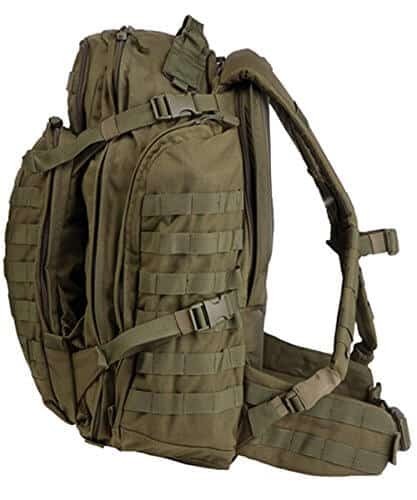 Also known as a BOB, The Bug out Bag is designed to help you do just that, and usually comes in the form of a heavy duty rucksack that contains everything you need in the immediate aftermath of disaster. So all you’ll need to do is grab and go! 1 What Should Go In A Bug Out Bag? 1.4 Why Should I Have A Bug Out Bag? 2.1 The Bug Out Bag Itself! What Should Go In A Bug Out Bag? Typical Bug Out Bags are designed and put together with a focus upon evacuation, rather than long term survival out in the wilderness and, of course, having the right Bug Out Bag Contents is pretty essential if you’re to have all of the resources that you may otherwise be relying upon for your very survival following some form of disaster. As there is a focus upon evacuation, many Bug out Bag guides and blog posts (and their associated Bug Out Bag Lists) tend to focus upon the equipment needed to survive over a 72 hour period. However, quantifying any length of time when preparing for an unforeseen event is a dangerous game, after all, if it was possible to foresee a disaster, you’d be highly likely relocate to another location entirely for as long as necessary. 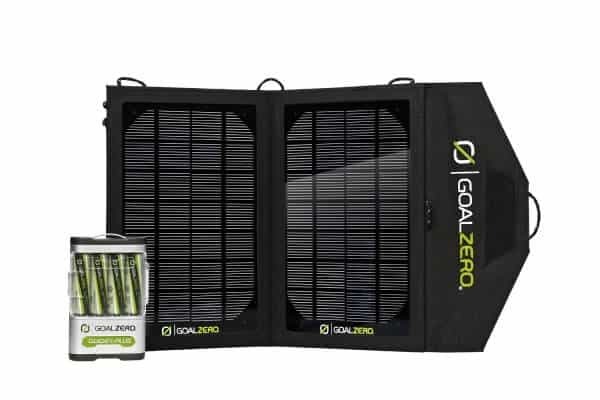 So, with this in mind, we’ve put together an ultimate Bug Out Bag List that goes that little bit beyond most other guides, and that specifically plans for an undefined period of time out in the wilderness, factoring in the equipment you might need for self-sufficiency (particularly in terms of hunting renewable food sources). If the worst does happen and you find yourself in the wilderness for whatever reason, living free from developed civilization is achievable with the right preparation. However, being off the grid for an extended period of time and setting up within wild terrain is challenging and often too harsh or dangerous for many people to consider. Instead, following a disaster seeking safe shelter within civilization is usually the primary aim, and this is the goal that any Bug Out Bag List aims to facilitate. Whilst we’ve endeavoured to put together a comprehensive list of all the things that would be essential within a Bug Out Bag, it’s prudent to point out that no Bug Out Bag List could really ever be complete. Each and every person is different and may require different items within their bag; to this end, this list is very much open ended and open to interpretation, serving as a starting point upon which to build, customize, chop and change. Why Should I Have A Bug Out Bag? A Bug Out Bag is essential in the event that you need to evacuate quickly. It ensures that, should the worst happen, you can focus on the situation in hand rather than compiling a list of items you need to take with you. And it doesn’t just serve as an essential item to have in the face of a particularly severe disaster, it can also include all the resources required when facing circumstances that are less than world ending. And in a world of uncertainty, preparation is everything. This Bug out Bag List will stand you in good stead when you have nothing but your wits, knowledge and a well packed Bug out Bag upon which to rely. That said however, and whilst a seasoned survivalist will know the importance of always having a, ready to go Bug Out Bag to hand, it’s no substitute for hunkering down when appropriate. After all, Bug Out Bags are designed specifically with temporary survival in mind, whereas hunkering down can see you taking to your basement where protection is increased, with the benefits of knowing exactly where you are and with all of your home resources but a floor away. The Bug Out Bag Itself! You should choose a bag that’s most suitable to you and your specialist items. You should choose your bag only after you’ve put together all of your items. Of course, it should go without saying that any Bug Out Bag should be robust, made from hardwearing material, and constructed with plenty of pockets and compartments for splitting up your items. Water is essential for your very survival, without it you may perish within just 3 days (this compares to our ability to go without food for up to 3 weeks). What’s more, as we become more and more dehydrated, we become more lethargic, meaning that even seeking water after two days may be an impossible task (not to mention maintaining your alertness and survival instincts). So, as a starting point, a water (filled) container is essential. Beyond this, you’ll also need a method of boiling water (to cook and sanitise) and items for water purification (such as treatment tablets and compact water filters) for treating questionable water after your original water runs dry. Of course, for the experienced and educated survivalist the following items may appear disproportionate, however shelter is not only essential to protect yourself physically from the elements, but moreover becomes ever more important for the rest periods that allow for mental and physical well-being (which are both equally as essential when facing unknown circumstances in the wild). Fire serves as a heat source which can warm, cook and attract attention if necessary, with the items listed here making for essential items for lighting a fire. Most importantly, however, you should ensure that you have more than one method of ignition, with at least two and advisably even three if you have room. Typically, Bug Out Bag guides tend to recommend dry food stuffs, with particular favourites being relatively non-perishable, dried foods. However we’d also say that foods with water content are also important (as you never known just how scarce water sources will be). To this end, you’re ideally aiming for foods that are lightweight and high in calories and nutrition, as well as a good base of food stuffs which come with water content, packing enough to last 3-4 days. Also include the more traditional items, such as rice, oat meal, beef jerky, tinned sardines, nuts, chocolate, and high calorie sports bars, in addition to Freeze-dried foods and MREs (meals ready-to-eat). For the seasoned survivalist who prepares for the very worst of eventualities, super comfortable bedding consisting of a mattress, matt, foil blanket and sleeping bag may seem over the top and the very lap of luxury. However, rest very much equates to being on form to deal with any unknown and potentially dangerous challenges. 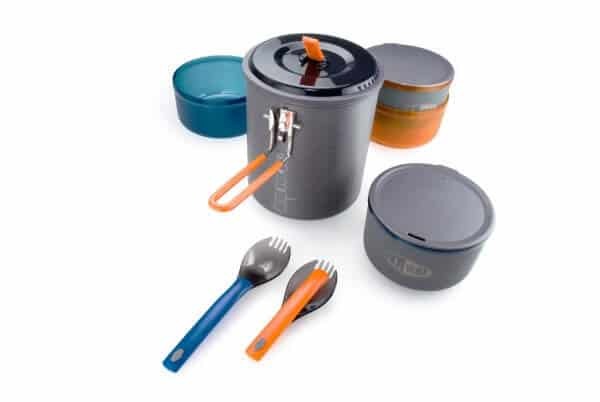 Unbreakable cups, mini pots, and containers are each as essential as the last, and methods of cooking your food, whether caught or pre-packed, may also serve as a vital way of raising your body’s temperature by what can be a lifesaving degree or two. Another case in point, where more than one source is essential in case the primary, or even the backup, fails, is lighting. So opt for a mix of natural light sources (such as a candle) along with electric items (such as LED lights or lamps) and finally also be sure to include all weather performing light (such as Light glow sticks) which can cover any and every eventuality. Tools: Essential within the wilderness and often the difference between life and death when charged with overcoming unknown situations. They can help you cook, hunt, prepare shelter and get you out of tight fixes. As such, there’s a plethora of must include tools for the ultimate Bug Out Bag. However, tools are a hotly debated topic within the world of Bug Out Bags, where everyone has an opinion and no two experts seem to favour the same brand, let alone the same itinerary for the ultimate tool list. The following list includes our favourites (based upon our own experience, as well as plenty of research from expert reviews). As a bare minimum, you’ll want a decent knife and a multi-tool. Experts argue over which you should pack. We say take both! Ensuring that you can stay in the loop, even when you may be decidedly away from civilization and all its creature comforts, is vital for knowing what’s happening and where potential help may be sought (as well as being aware of impending danger). Once more, this is another item where a backup comes in handy, and you should also consider a self-powered form of communication to avoid a situation where battery power runs out. 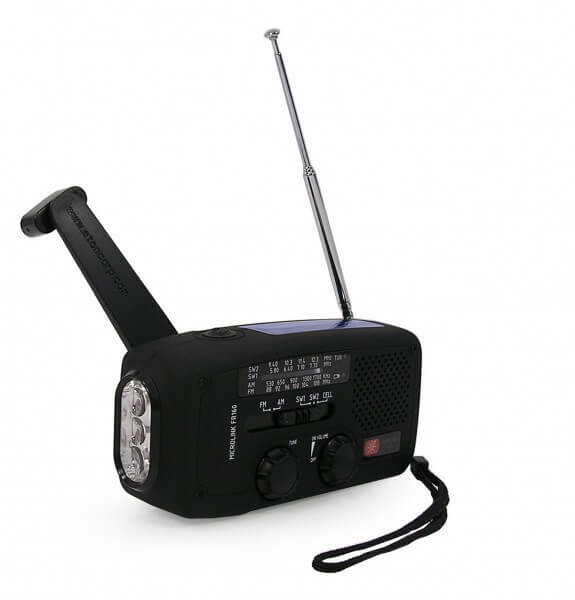 In addition to your radio, you’ll also need a method of communicating from afar and attracting the attention of others, for which a signalling mirror is essential. As the most basic form of shelter, your clothing serves as your first protection from the elements, with your footwear literally being the difference between travelling with a firm footing, and potentially slipping, tripping or being unable to scour certain terrains. Clothing is, however, incredibly personalised and a Bug Out Bag itinerary for clothing items will differ drastically from person to person, taking into account varying body types, tolerances levels, fitness levels and preferences. As a generic starting consideration however, you must take into account your climate, location and surrounding terrains, being sure to evaluate your clothing contents every six months as the seasons change. Waterproof jacket, trousers and gloves. Also make sure you are wearing good quality appropriate boots and clothing to begin with if possible. As mentioned at the start of this guide, whilst the focus of the average Bug Out Bag is upon survival in the immediate 72 hour window of a disaster aftermath, it’s prudent to pack for as many situations as possible. With this in mind, including the following items within your Bug out Bag can help you to seek your own food from the wilderness (in addition to making considered choices for your weaponry, which can allow you to hunt successfully on land). Snare wire, although you can make a snare with the inner strands of 550 paracord. In addition to basic survival knowledge, without the aid of tools (such as naturally being able to figure north from south, telling the time and seeking out water sources) you should also pack for navigating the terrains that you find yourself in, safely and successfully. However, this really needn’t be any more extensive than a couple of well-chosen maps and a compass. Local Maps and Trail maps. Try to ensure these are the water resistant laminated ones. Seeking out food, water or shelter sources, and the ability to see potential dangers, are all made easy from afar and from a safe area with the right Binoculars. Here are some suggested brands, with each providing for 8x magnification within compact and robust casing, but with the former taking up the traditional duel view and with the latter being a mono view. Everyone has an opinion on what is best and if, indeed a firearm is necessary. We’ll let you make your own mind up. If you do decide to pack a firearm, it is vital that you learn how to actually use your firearm of choice. Get some professional tuition, and of course, only pack include a firearm in you Bug Out Bag if is legal and you meet all the restrictions and regulations in your state. 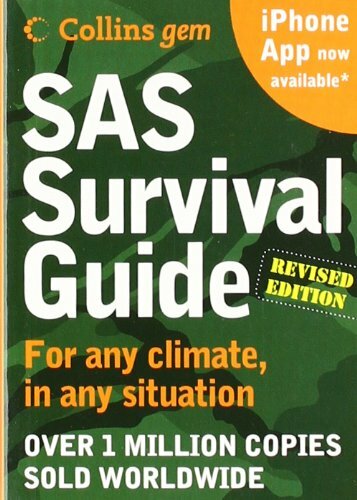 SAS Survival Guide 2E (Collins Gem): Perfect size for a bug out bag! A good survivalist knows that, no matter how much they know, no matter how many blogs, guides and books that they read, they can never know enough. With this in mind, here are two books that provide a high level overview of surviving upon nothing but your own wits and a well packed Bug out Bag.